We kicked off our celebration of URMIA’s 50th anniversary in Salt Lake City just a little over a month ago! The theme of this golden anniversary celebration is Community - Innovation - Education: Celebrating 50 Years of Advancing Risk Management. 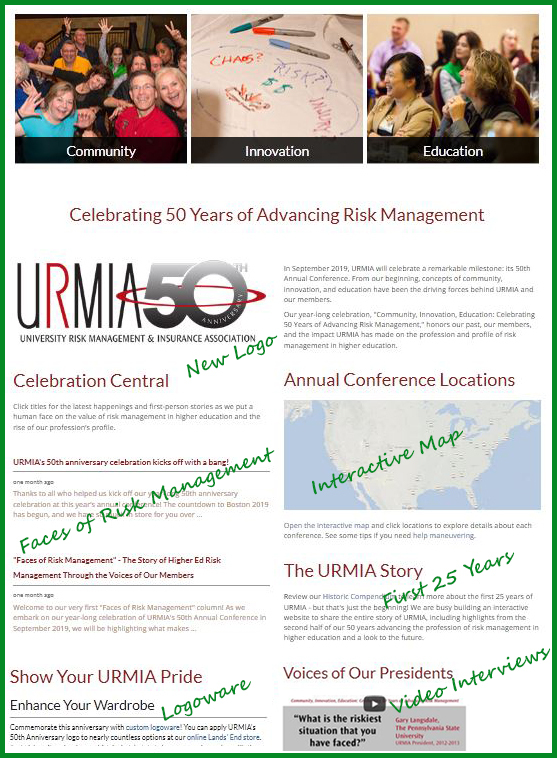 Throughout the year, we will honor our past, our members, and the impact URMIA has made on the profession and profile of risk management in higher education. The celebration will conclude with a huge celebration in Boston next year at our 50th Annual Conference. If you haven’t seen it yet, I invite you to participate in the festivities by going to URMIA’s new and highly interactive 50th anniversary website, which will be updated throughout the coming year with activities, stories, photographs, videos, announcements, and some surprises! You will receive periodic communications pointing to new 50th anniversary content and interactive polls. Let your colleagues and friends know about this milestone event by adding the graphics to your communications. You’ll find the logo kit and guidelines links on the 50th anniversary landing page in the Represent! section. 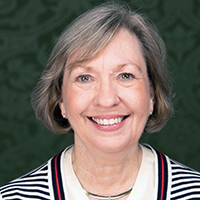 Over the next year, we will share the story of URMIA and the growth of the profession through our members' stories, memories and photos. What year was your first URMIA conference? Click on location pins to reminisce about the conferences you have attended and discover more about the other URMIA conferences. Explore the Historic Compendium about the first 25 years of URMIA. View it online or contact the National Office to request a print copy, available while supplies last. Lou Drapeau is gathering information for a compendium on the next 25 years of URMIA’s history. Contact Lou if you wish to provide memories. You can apply URMIA's 50th anniversary logo to nearly countless options at our online Lands' End store. Just pick an item (such as a shirt, jacket, hat, tote bag, even a cheese board! ), and then click the "Apply Logo(s)" button to add the 50th anniversary logo to your item. Watch more than a dozen short videos of influential leaders of the association as they discuss their vision of developments that will impact higher education risk management in the future and the skills we all will need to address these emerging and new challenges. It is well worth your time to see how far we have progressed since our initial days! You, URMIA’s members, are what made, make and will make this such an incredible community. 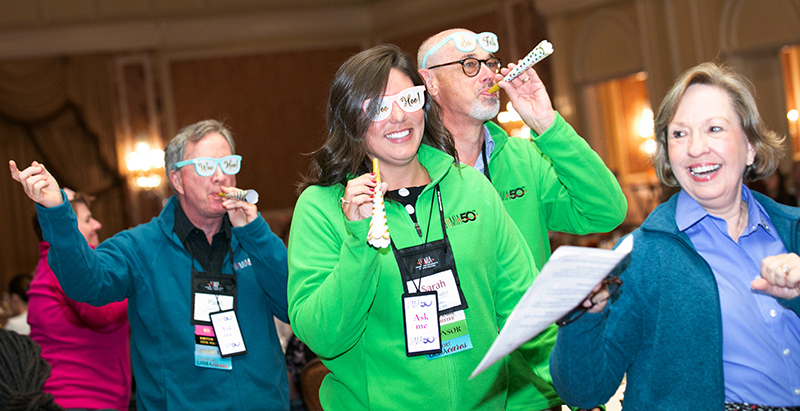 If you want to check out the fun parade from Salt Lake City, check out this clip from the business meeting, URMIA is celebrating 50 years! Copyright © 2019 URMIA Insights. All rights reserved.